Combine all ingredients in a quart jar. Stir well with a fork or seal tightly and shake. Taste and add sea salt as necessary. This makes for a fairly thick dressing. 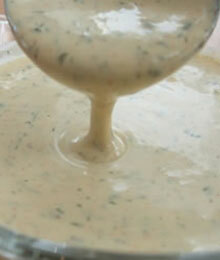 If a thinner consistency is desired you can add additional buttermilk.